We’re looking for a VP of Senior Living to join our team! Avesta Housing is currently hiring for a Vice President of Senior Living. This executive role will be responsible for the oversight and coordination of Avesta’s assisted living communities to ensure our residents live as comfortably and self-sufficiently as possible. The incumbent will also work closely with the President & CEO to provide leadership in the formulation and implementation of the Agency’s philosophy, mission, strategies, and programs. Bachelor’s Degree in a relevant field required. Master’s Degree and long-term care license/credentials preferred. Minimum of 5 years of progressively more responsible experience in a related field(s). Keen business mind with a focus on revenues and expenses. Solid understanding of financial statements and performance. Demonstrated activity on non-profit boards, committees, or community involvement. Extensive knowledge of assisted living housing and senior programs. Ability to see potential in existing practices and programs and to move efficiently from concept to execution. High level of professionalism with integrity, credibility, and full commitment to the organization’s mission. Knowledgeable concerning applicable regulatory rules and issues. Proficiency in Microsoft Office products including Excel, Word, Outlook, and PowerPoint. Identify coaching and training needs of staff and provide such coaching and training to ensure key objectives are achieved. Enhance physical plant and services to ensure senior residents live as comfortably and self-sufficiently as possible. Design and implement innovative programs for our senior living communities. Identify opportunities to expand portfolio of senior living communities, considering the full spectrum of housing options. Maintain in-depth knowledge of regulations governing operations and funding of assisted living programs and properties. Review budgets and monitor financial performance of properties and programs. Develop and maintain effective working relationships with funders and regulators. Assist President & CEO with development of strategic and annual plans. Develop and implement reporting systems that measure key performance objectives. Develop new funding sources including foundations and governmental resources. Represent agency in interactions with DHHS, MHCA, MSHA, municipalities, and other governmental officials. Identify, assess, and pursue new revenue sources complementary to existing lines of business. Founded in 1972, Avesta Housing is a nonprofit affordable housing provider with 45+ years of experience as a leader in affordable housing development and property management in southern Maine and New Hampshire. 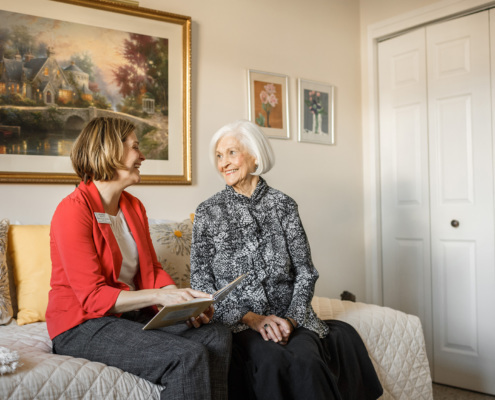 The organization is headquartered in Portland, Maine and currently has nearly 90 properties and 2,500 apartments in its portfolio, as well as two assisted-living communities. Avesta’s mission is to improve lives and strengthen communities by promoting and providing quality affordable homes for people in need. Its five areas of focus are advocacy, development, property management, senior and assisted living, and homeownership.